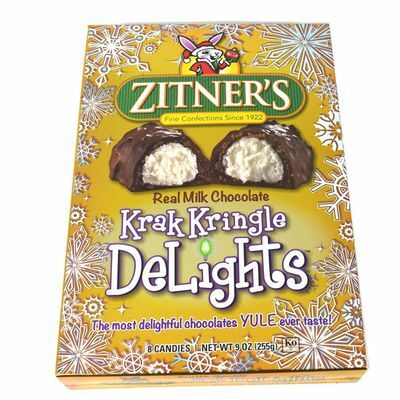 Looking for the most delectable retro Christmas candy this year? Zitner’s Krak Kringle Delights feature real milk chocolate surrounding delicious coconut for an unforgettable holiday treat. 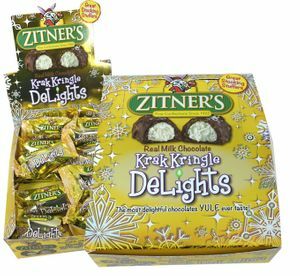 Krak Kringle Delights are a great addition to any party or family gathering, and they’re perfect for personal indulgence with a festive flair! 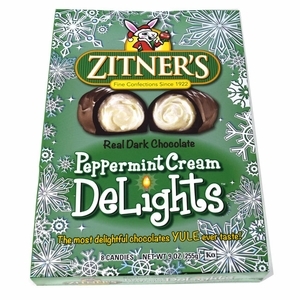 Want to order bulk Christmas candy? Visit our wholesale page to learn more about saving when you order bulk quantities of our candy! My aunt loves this candy so much, she won't share it with ANYONE! Best chocolate coconut candy I've ever had in my life!!! Love this candy, no where to be found in Florida. ProsPerfect mix of ingredients. Taste is the best.